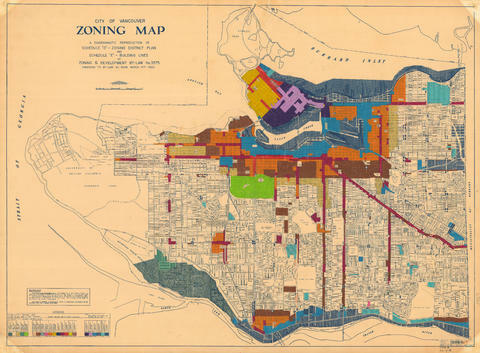 Item is a zoning map showing different zoning districts of Vancouver in 1963. Item is related to Zoning By-law no. 3575 and 4049.